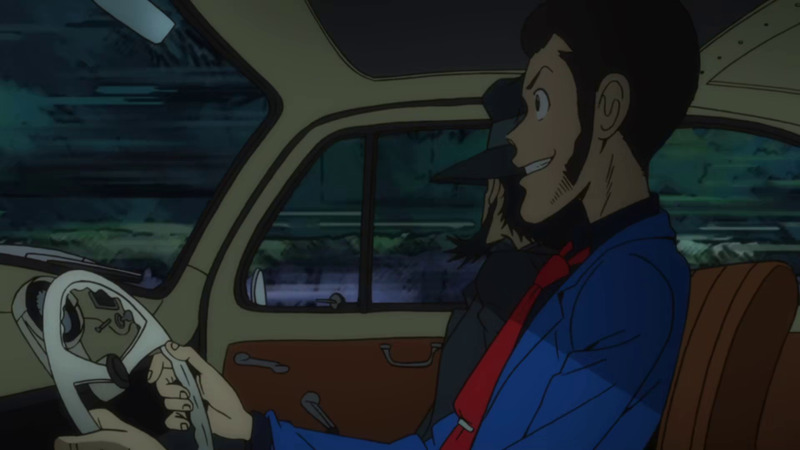 Lupin and his partner Jigen in yet another high-speed chase to get some treasure. Summary: The unthinkable has happened--legendary thief Lupin III is settling down and getting married to Rebecca Rosselini, San Marino's resident gorgeous model and tabloid perennial. But the marriage is a ruse--Rebecca lives a secret second life as a thief herself, taking on daring heists purely for the thrill of it, making off with her own country's royal crown, just to see if she could. Now legally carrying Lupin's surname, Rebecca joins Lupin on his adventures, along with his erstwhile allies, sarcastic sharpshooter Jigen and stoic samurai Goemon, all the while being pursued by his erstwhile nemesis, the inhumanly persistent ICPO officer Zenigata. 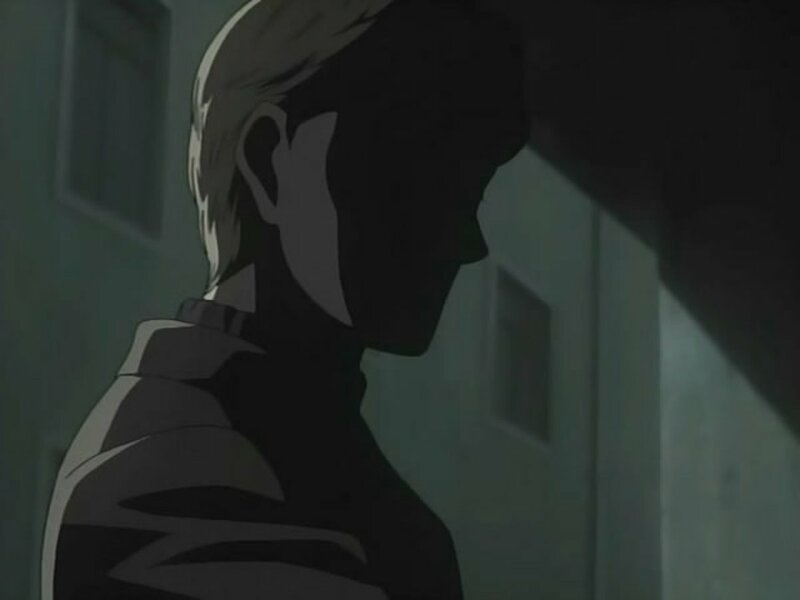 But this time around, there's more than meets the eye: The British intelligence service, MI:6, have plans for a secretive project called "The Dream of Italy," and it's up to Lupin and the crew to solve this mystery before MI:6's creation shakes Italy to its very core! So what brings me here, specifically? Lupin III is a huge franchise. Like, 50 years' worth of content huge. I've done reviews for a few of its films, but doing the entire thing just isn't happening. However, now that Lupin and his cohorts are back in the anime zeitgeist, I figured it was about time to put forth my two cents on Lupin III as a whole with Lupin III Part IV, which, having finished it, works spectacularly as a microcosm of the franchise. So, as luck would have it, I can very easily prop this particular series up as my manifesto--a.k.a. my opinion of the Lupin III media empire in general. Which is all well and good, saves me the trouble of rewatching hundreds of episodes of the '78 series that I only kinda half-remember anyway. Luckily, if you're new to the franchise, Part IV works well as a point of entry, too, although it's not exactly a labyrinthine franchise anyway--this ain't Fate or Kingdom Hearts, after all. Now, enough of my rambling, let's get on with it! 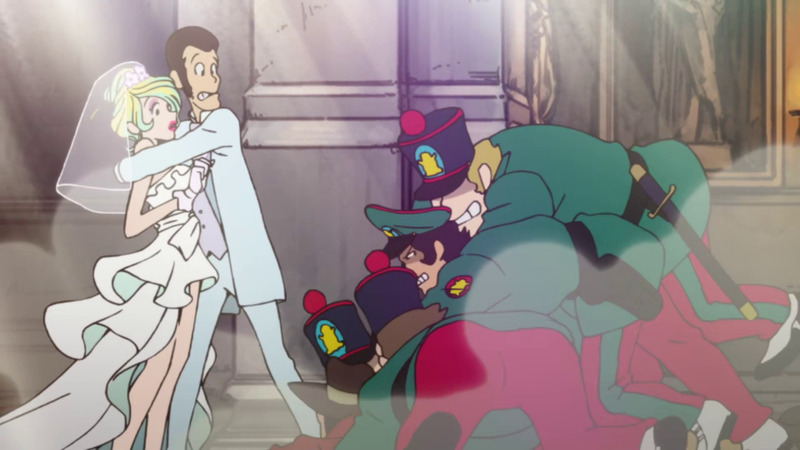 Zenigata's fresh attempt to apprehend Lupin at his wedding doesn't go as planned. Where does Part IV live up to its pedigree? First of all, I love Part IV's dedication to keeping the rough-'n-tumble look of these very 70s character designs intact--really gives it that old-school charm that Lupin III has always masterfully evoked. The rough lines and the designs of the characters feel right at home in this classic adventure kind of story, with the Italian setting adding an aura of European historical significance to the buildings and the treasure our "heroes" pursue. From the clothes to the cars to the gadgets, everything oozes that 60s-70s spy-movie charm. Likewise, the music does its fair share of carrying that old spirit of wacky heist-movie hijinks--if you've seen any old-school spy comedies or anything of the sort, or even past Lupin III episodes or movies, you know the bit. It's all here, and it's very refreshing in an era of same-y orchestrations and big epic brass bwooooooooms. But of course, the main attraction of Lupin III has always been its timeless characters and the crazy treasures and traps they encounter. And that, too, is all here intact. Lupin is still a generally good guy who just happens to want to make all the money in the world via thieving and get all the ladies, Jigen is still his sarcastic and self-interested sharpshooter, Goemon is as stoic and mysterious and hilariously stone-faced as he's ever been, Fujiko is still the affably devious manipulator of Lupin's base instincts, and Zenigata is as persistent and adamant as always, even getting an upgrade in his uncanny ability to find and apprehend Lupin no matter where, what, how, when, or why he appears. 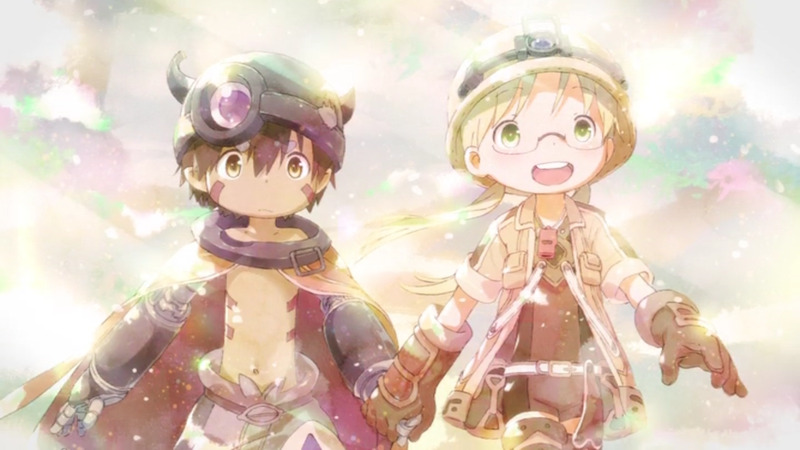 The writers already know they've got a good thing going with these characters, and while they don't get much development or much of an arc, they also don't need any--part of the appeal of the series is that these treasure-hunting rascals don't ever change, and that each new day promises a new harebrained scheme to make a few extra bucks. Now, that brings us to the new characters the series presents to us--namely Lupin's fiery bride Rebecca, her dependable butler Robson, and the viciously dangerous MI:6 agent Nyx. To give away my entire hand, I love all three of them. 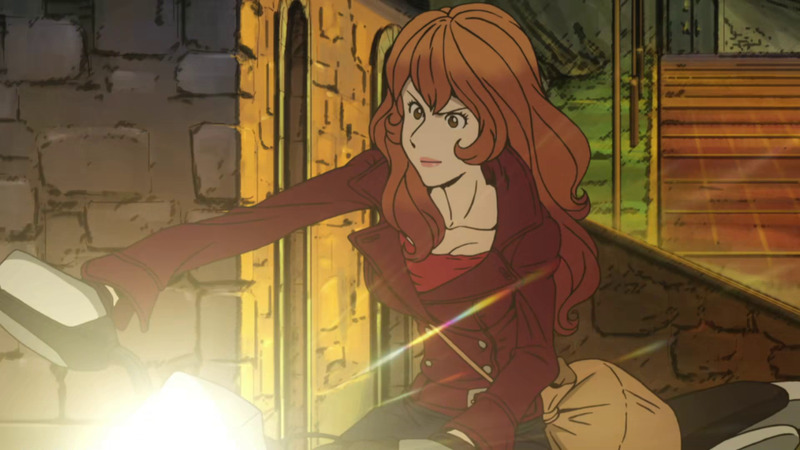 Rebecca works well as a comic foil to Lupin, as well as a rival for Fujiko in who gets to wrest treasure from his hands. Robson is one of those comically capable-at-everything butlers I love to death, and imagining what it must be like being him behind the scenes is pretty hilarious. Nyx works extremely well as an antagonist, with his cold and calculating personality and incredible feats of hearing and detection make him one of Lupin's deadliest foes yet. But that's not all! Intertwined with the episodic stories lies a twisting, crazy plotline that could only exist in a Lupin III TV series, with a great villain whose motivation is actually pretty neat. 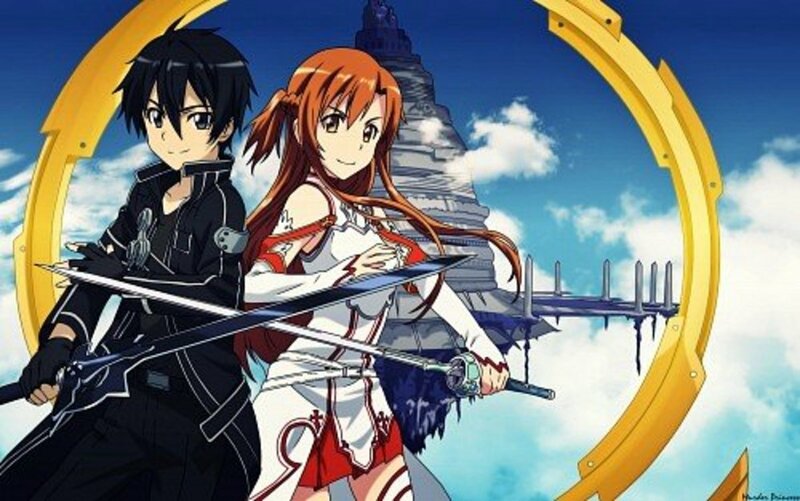 As for the stand-alone episodes and two-parters, any veteran of the franchise knows what to expect and will be quite glad to have more of it--impossible heists, complex schemes, deadly traps, and tantalizing treasures. 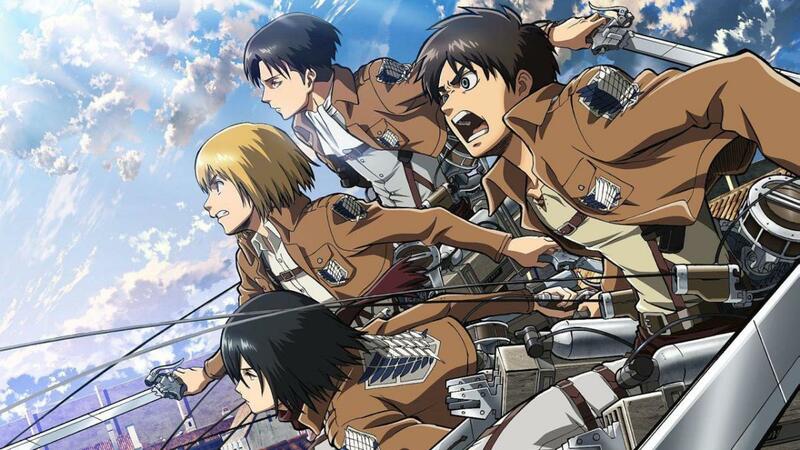 Newbies to the franchise will get a taste of the madness the series is known for, and long-time fans will get more of what they love. And really, isn't that the best thing an installment in a long-running franchise can offer? Fujiko aims to make a getaway on her bike with the crown of San Marino in tow. 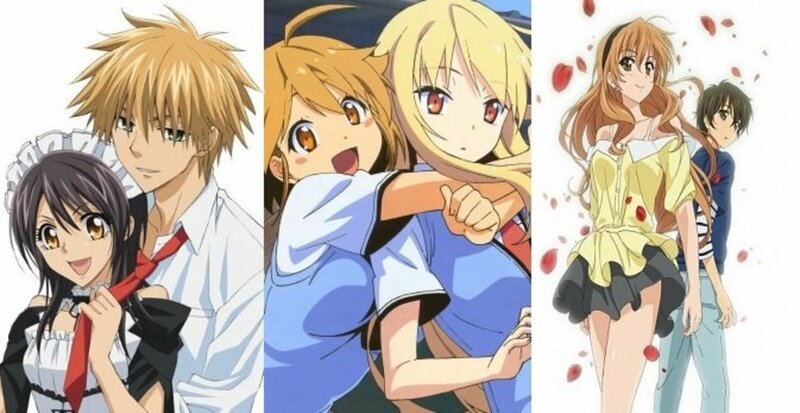 ...And which pitfalls did the series fall into? The answer is simple--the same pitfall that any TV series with many episodic storylines falls into: Inconsistency. Plainly put, some episodes are simply better than others, and some episodes are just not up to scratch regardless of comparison. I found it particularly disappointing that Goemon only got one episode of his very own, and it was among the weakest of the lot. Not only was the directing a tad on the incoherent side, but the story was ludicrous, even by Lupin III standards. I also feel like Fujiko got ripped off, too, with her very own episode not exactly being bad but also didn't inspire a lot of excitement. 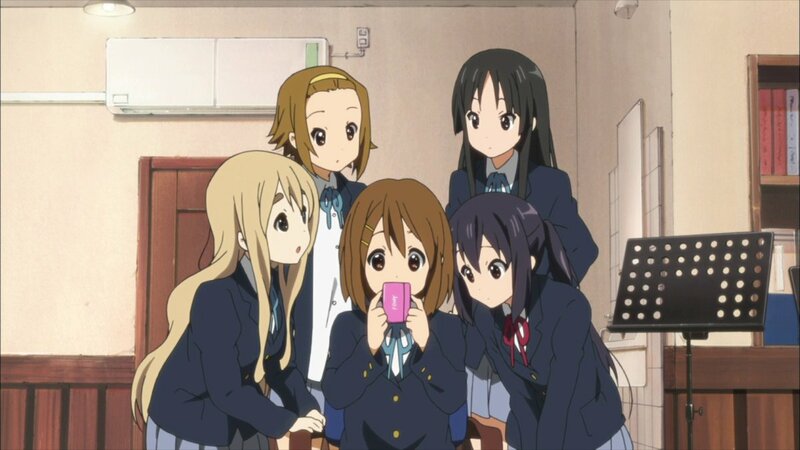 It's such a bummer when a series this fun to watch takes a dip into boring territory, because you already have mountains of evidence stating that this episode could be so much better, and yet it isn't. It's a delicious batch of cookies, but there were a couple scattered throughout that needed a few more minutes in the oven, y'know? Lupin and Jigen once again on the run from Zenigata's long arms of the law. So, essential Lupin or skippable Lupin? Even if it doesn't fire on all cylinders 100% of the time, I'm going to stack this one in the "essential" camp. Lupin III had gone nearly 30 years without a full-blown TV series when Part IV was created, so it was more important than it would have usually been for this series to be good, and, a few bumps notwithstanding, it turned out to be an excellent new addition to the franchise. 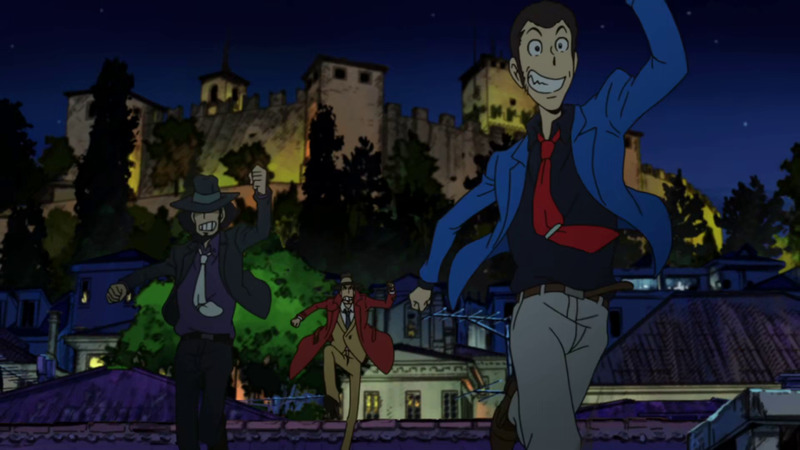 Long-time Lupin fans will already have seen this or have it on their watchlists (and will enjoy it immensely), and newcomers curious about this venerable old property will surely find themselves having a pleasurable time with Lupin and the gang if a good time with treasures and schemes and adventure is what they've been seeking. Now I just need to get a move on, catch up with the rest of the fanbase, and check out Part V already! Final Score: 8 out of 10. 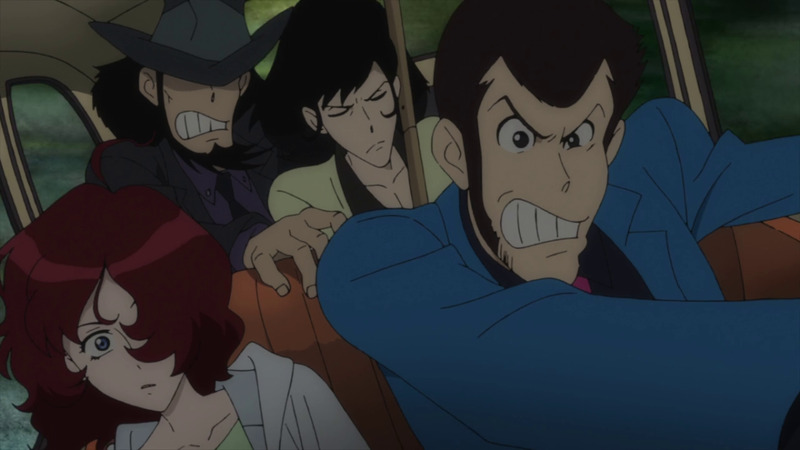 Lupin III's first foray into TV animation in after nearly 30 years is bound to bring joy and excitement to long-time fans and newbies alike, even if its episode line-up of classic comedic crime capers has a few duds in their midst.